We are at a critical time in the election system because the Greatest Generation is starting to retire from working the polls. Really, they have more than surpassed their duty in serving our community, state and Nation. Many of them are passing 80+ years of life, and are beginning to run out of steam. Rogers County lost over 45 workers in the last 2 years. They all surpassed the age of 80. They did their time. Those who are currently working elections are starting to feel the arduous effects of the long hours required. Currently, the average age of our 152 workers is 74. Inspectors and judges, as well as clerks, are critical administrators in the voting process. They arrive long before the polls open at 7 a.m. on Election Day. 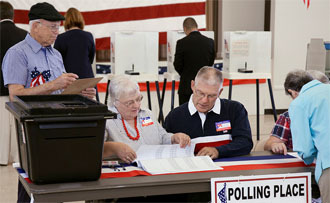 Their responsibilities include: setting up the precinct voting site; activating the voting machines after unloading them from storage carts and connecting cables and electrical cords; troubleshooting inoperable machines; checking voters to make sure they’re registered; and ensuring that ballots are securely delivered to the County Election Board at the end of the evening. Their responsibility is critical, but they are paid less than minimum wage. 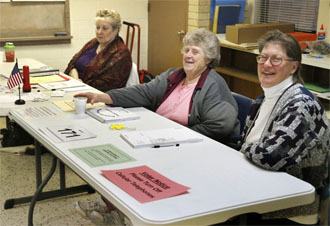 Today’s poll workers need to be computer savvy to use sophisticated technical equipment. In the last 10-20 years federal and state laws have created a slew of new procedures for voting. Those who claim to be registered but cannot be found on the voter rolls must be directed to the correct precinct or given provisional ballots. These procedures, coupled with the advent of electronic voting machines, leave little room for error. On most jobs, first day mistakes are common; if you make a mistake the first day, you can correct it the next day. 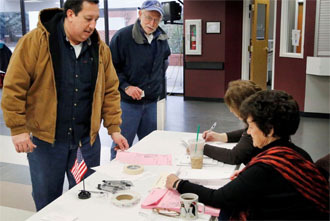 With this job, you don’t get a second day; a lofty expectation of perfection for poll workers. Being a poll worker is an underappreciated job, but they provide a service to the public that is paramount. Poll workers are a critical piece of how our Constitutional Republic functions and we need people to keep our elections viable. The security and integrity of our elections depend on poll workers who serve 13 hours or more for little pay, and sometimes in intense and complex situations. Without competent workers, the process can end up with long lines, mass confusion, miscounted ballots, recounts, or worst case scenarios, having an entire election thrown out. I believe in order to overcome our current situation; we need to offer a wage to fit the responsibility. I encourage you to talk to your legislators and let them know how important our poll workers are to the integrity of our election system, and they need a raise to fit the responsibility of the position in which they serve.